Cells — the building blocks of our bodies — are encapsulated by membranes. The same goes for the specialized compartments within our cells. These membranes are extremely thin, oily films, containing proteins and fatty molecules called lipids. For decades, scientists have argued about how cell membranes organize and maintain distinct regions enriched in particular protein and lipid types. These regions are thought to influence cellular activities, such as the signaling that controls both normal cellular growth and the growth of cancerous cells. 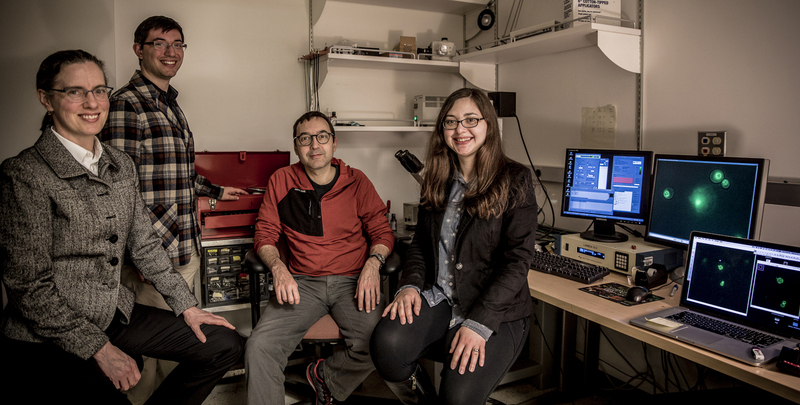 In a paper published Dec. 5 in the Biophysical Journal, scientists at the University of Washington show for the first time that the complex distribution of molecules within a membrane of a living yeast cell arises through demixing. Also known as phase separation, demixing is a simple physical process that is similar to the action that causes droplets of oil to separate from vinegar in a salad dressing. The UW researchers were inspired by pictures of a genetically engineered strain of yeast in which membrane proteins fluorescently glowed. The proteins lit up intracellular, membrane-bound compartments called vacuoles. The vacuoles looked like miniature green balls patterned with dark polka dots. Those polka dots, the researchers realized, looked nearly identical to membrane regions that arise from phase separation in two types of non-living systems: simple, artificial membranes created in a lab and membranes shed from cells under severe stress. 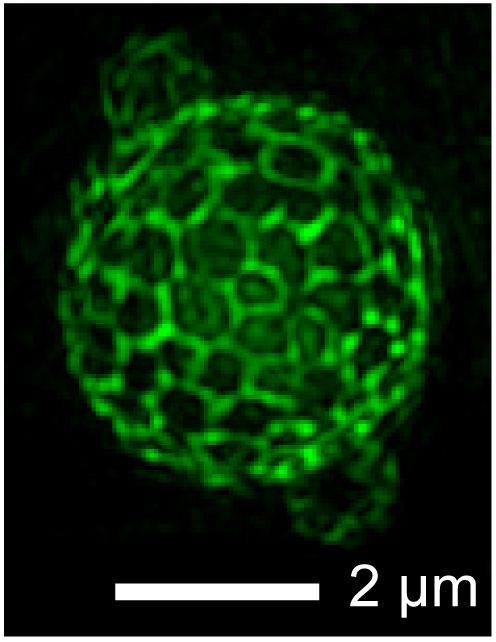 First, the team discovered that the polka dots that appear on vacuole membranes can merge quickly. This behavior is consistent with fluid phases, just as droplets in a recently-shaken oil and vinegar salad dressing quickly coalesce when they collide. Next, the team found that phase separation in the membranes of yeast vacuoles depends on temperature. 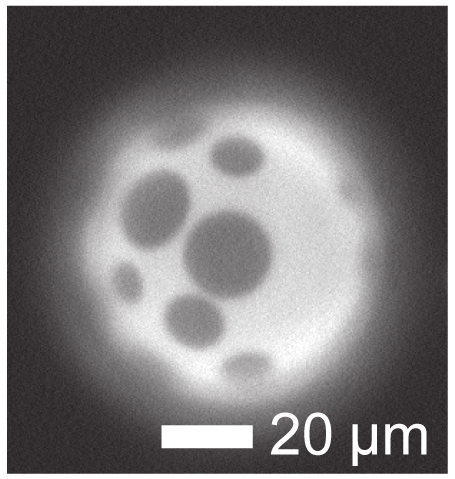 When the researchers warmed the yeast above 90 degrees Fahrenheit, the two liquid phases merged into one — the polka dots vanished. As the yeast cells were cooled back to room temperature, the phase-separated regions reappeared. 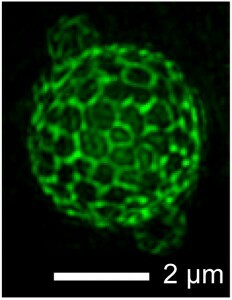 Now that the researchers have shown that living membranes can undergo phase separation, future work is needed to show how cells regulate phase separation. This could be through the action of genes, environmental conditions or a combination of factors. 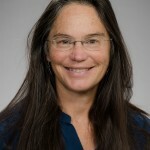 “There is incredible potential here to unlock how different types of cells form and maintain unique structures — and how different structures are formed even within the same cell,” said Keller. Caitlin Cornell, a UW doctoral student in chemistry, is a co-author. The research was funded by the National Science Foundation and the National Institutes of Health. For more information, contact Keller at skeller@chem.washington.edu or 206-543-9613 and Merz at merza@uw.edu or 206-616-8308. Grant numbers: DGE-1256082, MCB-1402059, T32GM008268, GM077349.